I woke up at 6:30 in time to see the sunrise coming through the Atlantic Ocean. It was a good night’s sleep. 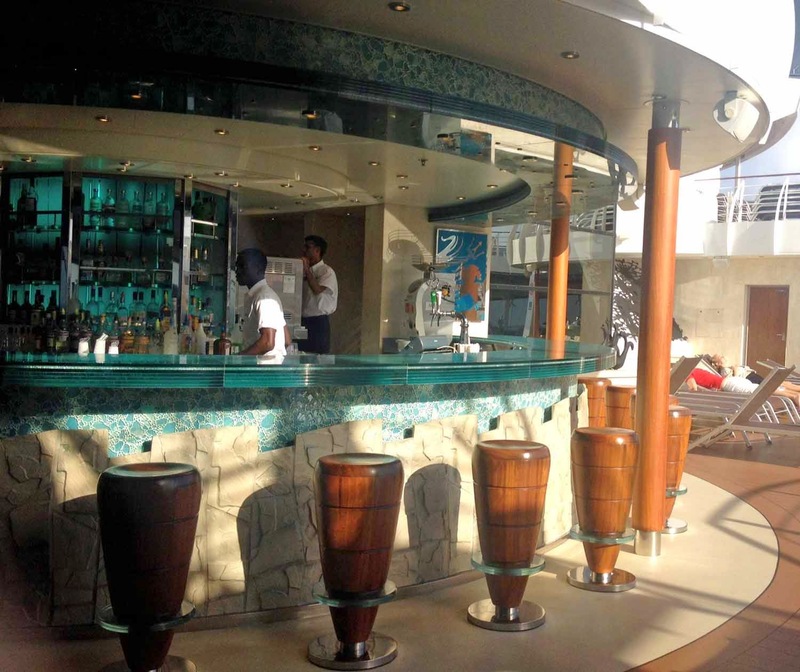 The gentle rocking of the MSCDivina definitely agreed with me and I was ready for the day at sea. There was a lounge area in front of the spa entrance which served very interesting teas, all of which had a specific purpose for your body. The yoga studio had wall to ceiling views of the ocean. I could definitely get into the relaxing mode there. 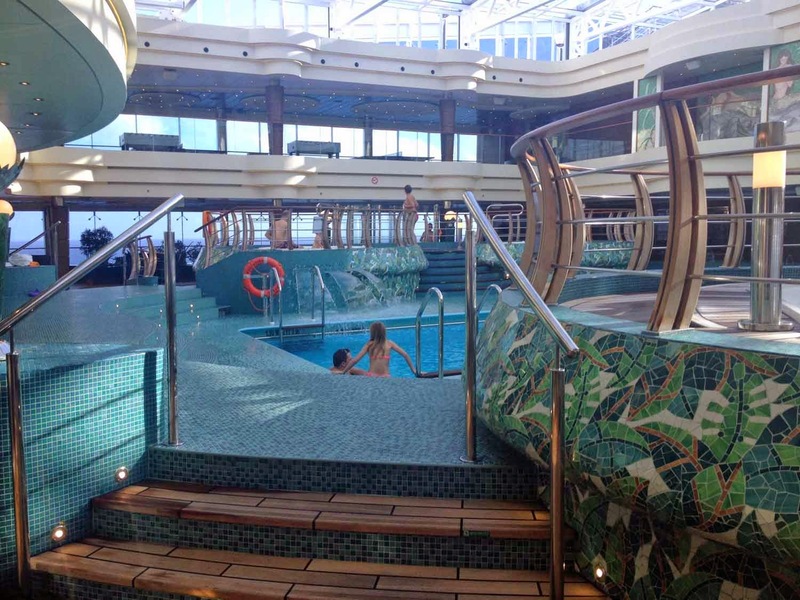 The Aqua Park is an area with a retractable roof so the pool and whirlpools are available in all weather. This area is also especially popular with families as it’s fairly condensed. 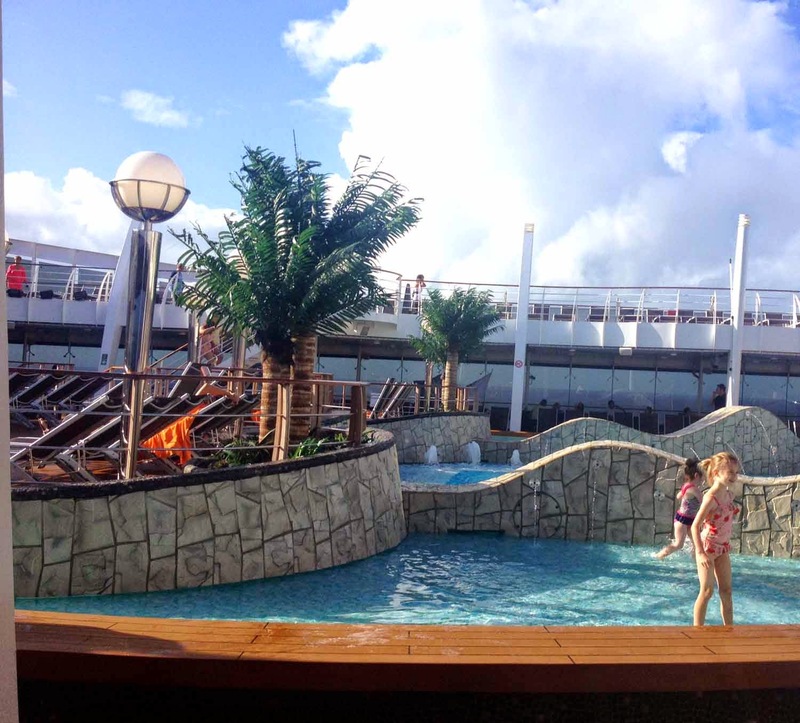 The main pool deck was also surrounded by whirlpools and had both shaded and sun-filled areas on two decks. There was also a bar in the corner. Also in front of the pool was a large movie screen. During the day it had mostly music videos, but at night there were movies under the stars. 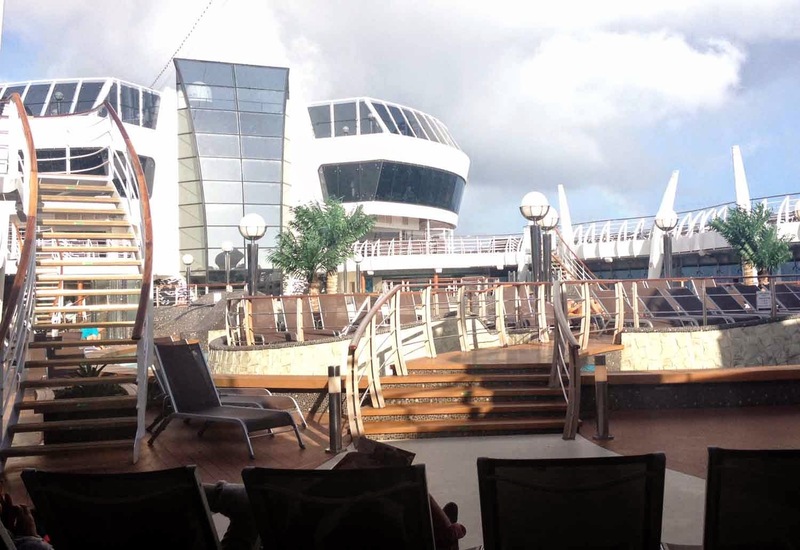 It was rather windy so the top floor with the Yacht Club’s One Pool, bar, and breakfast, was closed so we went to Le Muse for a sit-down breakfast on the MSC Divina. Mom had the Eggs Benedict and I had an omelet with cheese, spinach, mushroom and tomatoes. We both had the pan au chocolat (chocolate croissant). While Mom enjoyed an art history lesson in the Jazz Lounge, I met with the excursions manager and Yacht Club manager Rendy to discuss the islands we would be visiting. I stopped by the cocktail party for those of us in the MSC YachtClub. The captain was there welcoming us aboard and they were serving some very unusual cocktails. 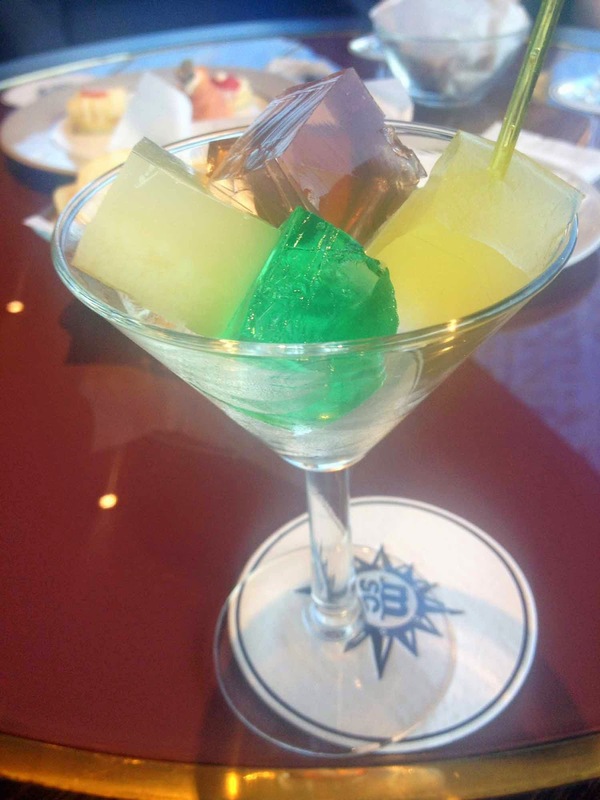 I had the Jello Shot Martini, which was a combination of Jello squares, each containing a cocktail: Pina Colada, Manhattan, Martini, and Mojito. Mom and I met up and went to a Wine Blending Class. 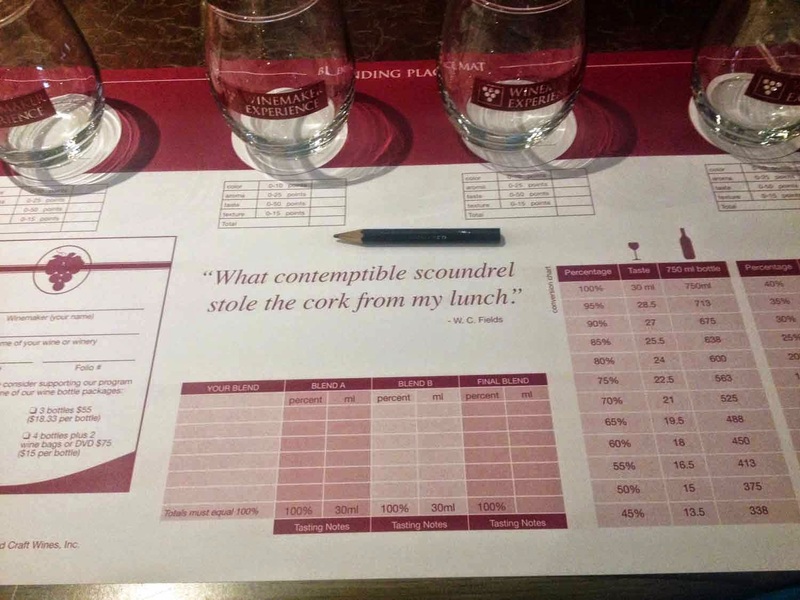 It was a lot of fun as we learned about different types of red wine from various regions, then were able to blend our on wine with four unique ones. The bottles we created were later delivered to us in our cabin, with our names on it. 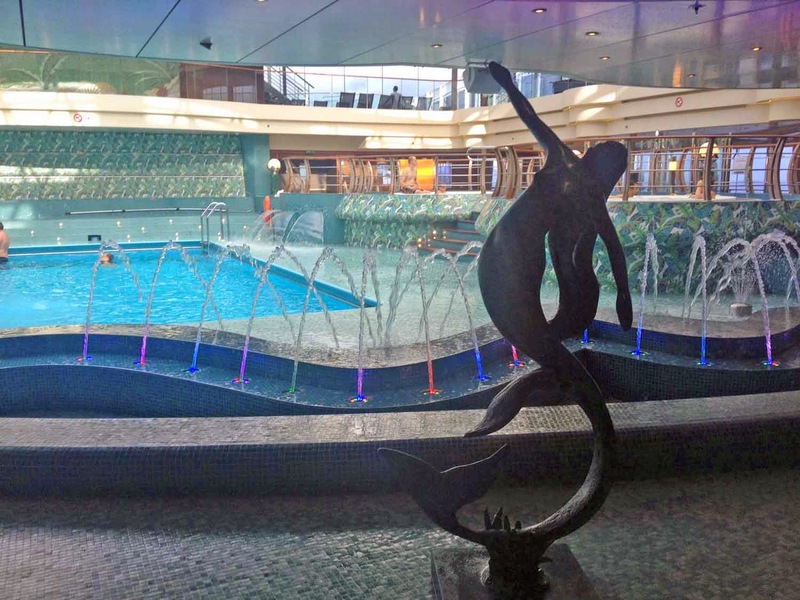 It was an interesting and unusual way to spend time aboard MSC Cruises and I definitely recommend it. We were back in Le Muse, the restaurant for Yacht Club guests, for lunch. Mom loved the Pina Colada Soup and the Vegetable Fajita. I agreed about the soup, but wasn’t too crazy about the fajita. I did have some wonderful fried cheese and we both had our mouths’ watering over the chocolate gelato for dessert. While Mom rested in the room, I headed to the main pool. It was nice to have some time to lounge on the pool deck and read. I also relaxed in the whirlpool a bit before heading to the room to shower. It was our first Formal Night and we got dressed up for the occasion and headed to dinner at Le Muse, the restaurant only for Yacht Clubguests. They greeted us again with Prosecco and one of my favorite wines, Brancott Sauvignon Blanc. There was also another unique bread selection. This night it was a Cheese Focaccia and it was delicious. 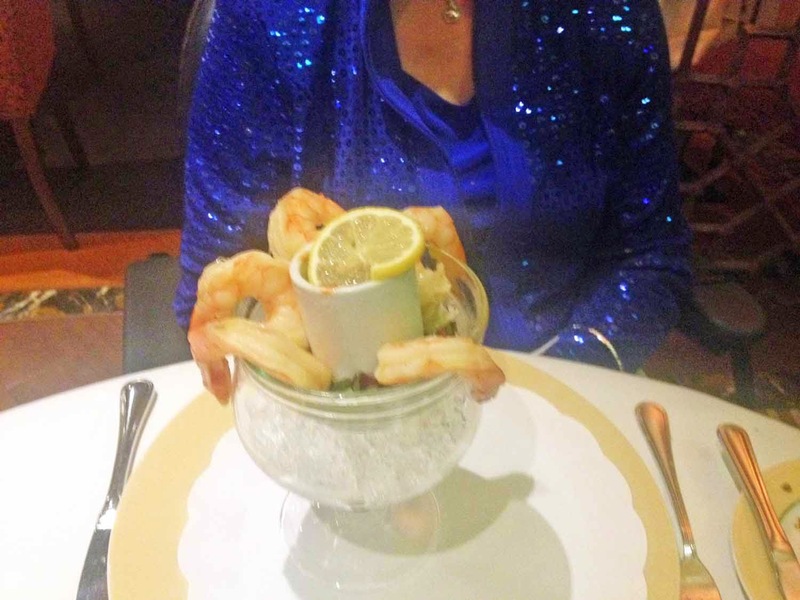 I started with the Asparagus Soup and Mom went for the Shrimp Cocktail. 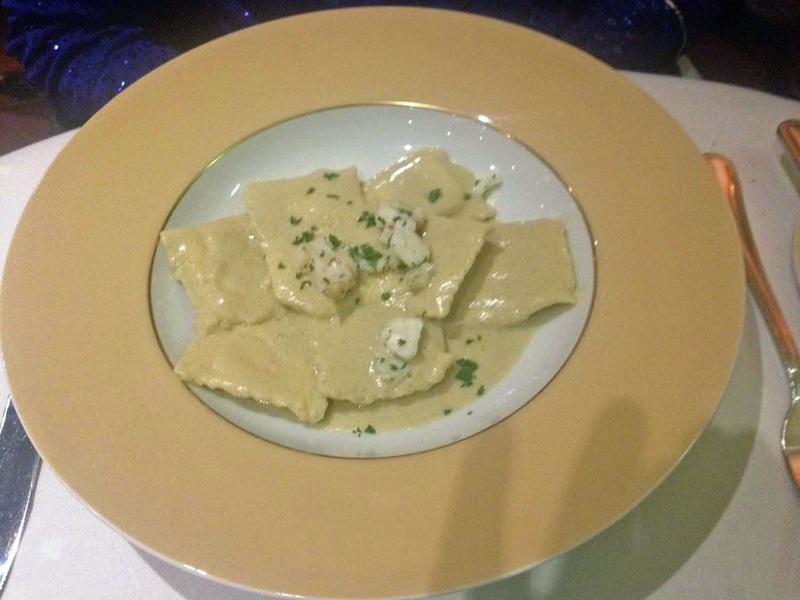 We both had the Spinach Cheese Ravioli, but Mom’s was topped with lobster medallions. Mom had the crepes Suzette for dessert and I splurged on a brownie with ice cream. After we left the restaurant we went to the lounge and listened to music. We met a nice couple from Scotland. I learned that MSCCruises, which have many more itineraries in Europe, were definitely filled with a nice mix of people from around the world. The show was as good as a Broadway production. We were really impressed. 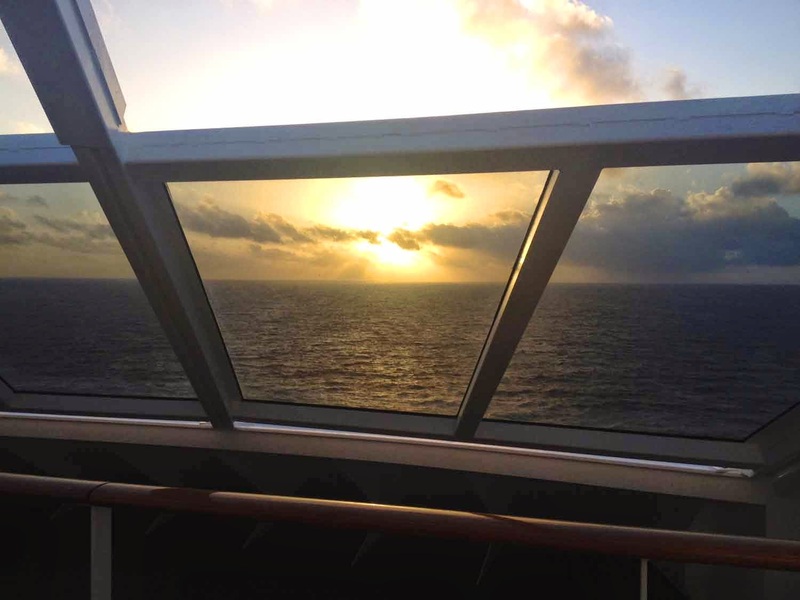 When it was over, we headed back to the room to get ready for the first port stop – Falmouth, Jamaica.